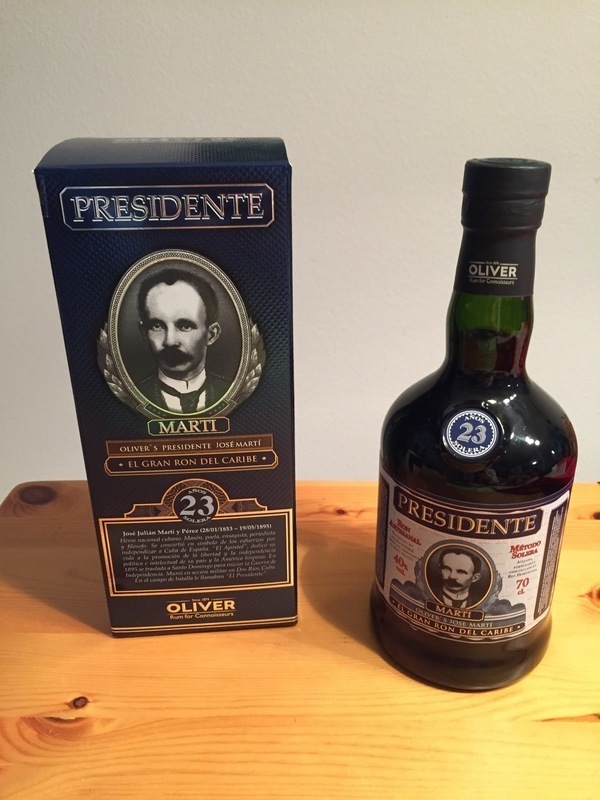 Have you found an online vendor selling Presidente 23-Year? 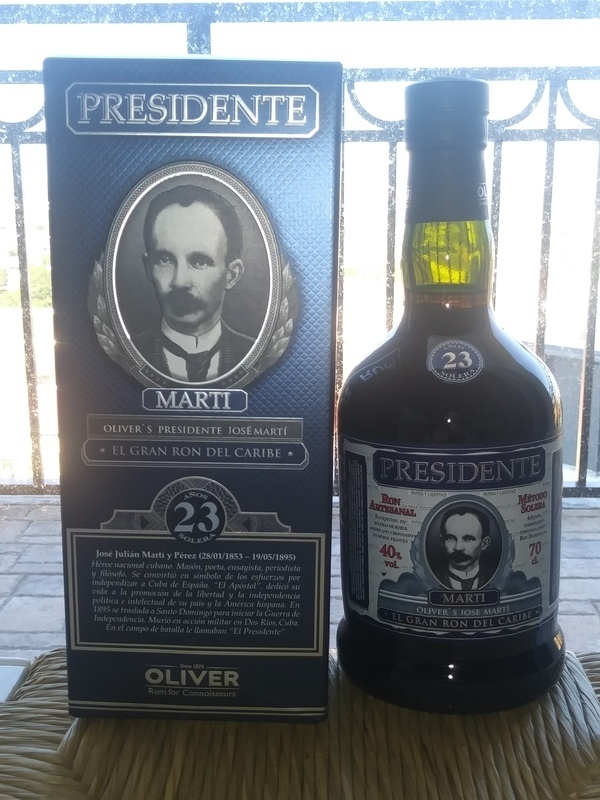 Well over 1,000 aged dark rums enjoyed and Presidente Marti 23 year from Oliver & Oliver is on my Top 10 list after 15 years of rum tastings. It is superb, so smooth you can't imagine, no burn at all and contains plenty of exciting flavors. If you haven't tried yet this Dominican Republic produced but Cuban inspired 23 year Rum, I will guarantee it will set a brand new benchmark for your personal rum list. If Diplomatico Reserva exclusiva was worth of the money it costs, it would taste like this. Presidente 23yo is very good. It is not too sweet, it is not too dry. This is how well balanced rum taste like. It is very smooth, but still pretty sweet. But here comes the thing - Presidente does not use sugar to cover its weaknesses (like Zacapa or Diplomatico does), it just use it to complete its taste. The only reason I am not giving 10 points is that I dont like this type of rum. I like more whiskey style or some specific taste mixes. But if you are looking for high-quality rum, you cant go wrong with this one. After trying the 15 and 19 year it was time for the 23! Just a little better everytime you go more old. All three are very nice and not too much difference price-wise. You can't go wrong with either one. Allthough the 23 is the smoothest. Produced by Oliver&Oliver so prepare for a sweeter rum. I wasn't expecting to like this as much as I did given its score of only 7.9 (as of this review). I generally rate rums about a point below their consensus rating. But I think this is better than its consensus rating! It's a little on the sweeter side, but that's one reason I like it. Somewhat simple rather than complex, and a bit syrupy, but very tasty. Smells and tastes of molasses, caramel, marzipan, honey, and oak. Easy to drink straight. A solid "9" in my opinion. I thought I would try this rumas it was on offer, and decided to read the reviews. A nice rum to either drink neat or over ice, that is fairly sweet when sipping. A slightly oaky aroma. Smooth as it goes down without too much burn. I would recommend this and buy it again. I didn’t have confidence in this rum, but opposite is true. Very nice one after cherry barrel and experiences with younger siblings. Sweet character but not much sweet. Honey, vanilla, dark caramel. Worth one. A very good rhum very sweet.if you like lillonario xo ,opthimus 21 or 25 you will like this.8.8/10 for le.caramel note and vanilla.very easy to drink. I reading several good comments, I bought this bottle, cheap less than 40€. The color is dark amber,the first flavor on the nose is cherry and plum, no sweet and no alcohol.... milded one. The density is normal, no mark on the glass. First zip in the mouth is more whisky than rum, the alcohol growing and hurting, burning in the tonge without clear taste. I m really disappointed about this rum .... fake rum better! ...but very tasty stuff. Yes I know there has been sugar added, but it’s for sure a good sipper for rum starters. Round and rather sweet. A good rum for beginners. Not a Cuban rum but a homage to Cuba as it uses the Cuban National hero Jose Marti and the Cuban history on its bottle. That was actually the reason my wife bought it for my collection of Cuban rums. Blends in nicely on the shelf. A bit more flavour and bitter rhum, most due to the long storage on oak cask. Very sweet nose, brown sugar and some caramel. Also vanilla and wood. Kind of typical brown rum smell, not much fruit for me. The taste is quiet characteristic and bears a lot of different aroma. On one side the rum is a bit smokey (dust, ashes), on the other side it is really bitter (oak). However, it fits together and is completed by some sweetness (rock sugar) and vanilla again. Here, I didn't find a lot of fruit again - maybe some raisins. All in all some good stuff, but not end of the line. Fantastic rum. A lot of aroma. Very complex and exiting. One of my absolute favoriter. The 19y is considered the best of range, I would have to agree, the 23y is smokier and a bit harsher, albeit not as sweet as 19y which might suit some. Darker brown color. Sweet with long cherry alcohol tail. Vyborny rum od Oliver&Oliver. Kdyz si mam vybrat tak radsi 19.